The tale of how the CONTI® SYNCHROFLEX polyurethane timing belt and the cam shaft drive were combined. Dingolfing in Lower Bavaria is not exactly the hub of the world. Except sometimes it almost is. For instance, when, encouraged by politicians, a small but innovative car manufacturer named GLAS (almost) took over BMW and DKW. But then it did not, because of a lack of equity capital. This is what helped the “Synchroflex timing belt” produced by Continental ContiTech to become a successful component of four-stroke engines in GLAS cars and the Nuremberg-based Mulco member Roth Ingenieurtechnik – supplier of rubber hollow spring elements to GLAS at the time – played an important role in this development. Hans Glas. 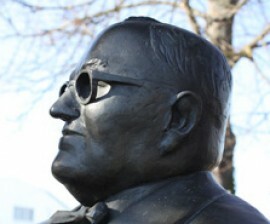 A businessman so important that a statue was erected in his honour in Dingolfing, a town of 18,000 inhabitants in Lower Bavaria near the river Isar. In this town, he is still a household name. But let’s start from the beginning and introduce the protagonists: First of all, there is a small, but innovative car manufacturer called GLAS in Dingolfing, Lower Bavaria, near the river Isar. In only 15 years this former producer of agricultural machines (top product: The sowing machine “Isaria” of which some hundred-thousand models were built) managed to create a product range comprising everything from microcars to luxury coupés. Finally a take-over turned this plant in Dingolfing into the largest car plant owned by BMW world-wide. At the time, GLAS had an advisor and supplier in Roth GmbH + CO. KG in the Andernacher Straße 14 in Nuremberg. 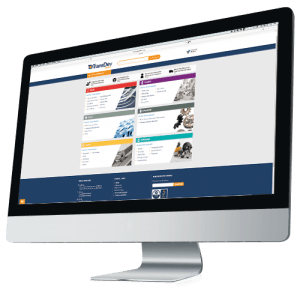 This company is a member of Mulco-Europe EWIV, the European market leader of polyurethane timing belt production, one of whose other members is the manufacturer ContiTech Antriebssysteme. Josef Sturm of Roth Ingenieurtechnik and Jürgen A. Kraxenberger of the private museum Carhistory in Moosthenning show how a overhead cam shaft is driven by a Synchroflex polyurethane timing belt. In the end it was a four-cylinder in-line engine with an aluminium cross-current cylinder head and an overhead cam shaft that brought them all together. The employees of GLAS, Continental and Roth entered unknown terrain, which they worked on intensely, doggedly and finally their efforts were crowned with success. The Industrial Museum in Dingolfing dedicates space not only to the greatest inhabitant of the town, Hans Glas, and his company, which became a BMW plant on 10 November, 1966, but also to Synchroflex timing belts. 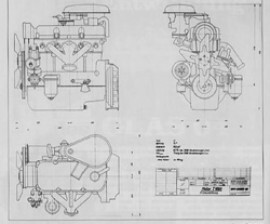 This is what the Glas four-cylinder engine with overhead cam shaft looked like. The Synchroflex timing belt with a CR profile is located in the front. The history of GLAS cars started in the early 1950s, after World War II when large agricultural areas in the east were lost and the demand for agricultural machines plummeted. A replacement product had to be found. And it was found in 1956 with the development of the Goggo scooter which was built more than 60,000 times and was later joined by the four-wheeled Goggomobil, of which 300,000 were created. There is still an urban myth in Dingolfing that the name “Goggo” originated from the nickname “Goggi” given to Hans Glas’s second son Andreas by a maid from the Rhineland. Eight cylinders from Lower Bavaria. In this model, two Synchroflex polyurethane timing belts with a CR profile drive the overhead cam shafts. 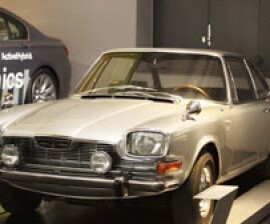 The company then built the Isar and the 04 series, which won the German touring car championship with the 1204 TS in 1965. Next came the GLAS GT designed by the Italian designer Frua. The peak models of the range were the 1700 limousine and finally the eight-cylinder luxury coupé GLAS 2600 V8, later followed by 3000 V8. Now all market niches were filled. Without the great knowledge of GLAS’s history and the general history of cars held by Jürgen A. Kraxenberger, his private museum Carhistory in Mosthenning and the Industrial Museum Dingolfing, this tale might never have been told. However, it is also great that the sales manager Josef Sturm remembered that Roth Ingenieurtechnik was involved in the development of today’s CONTI SYNCHROFLEX polyurethane timing belt from the very beginning and played a role in this development as long-term partner of Continental. Over 50 years ago it was GLAS in Dingolfing which ignited the initial spark for the development of the polyurethane timing belt. Today it is an essential part in machine and plant engineering throughout the world. It is used in robots, high-tech machines, the healthcare sector, food production, linear and transport technology. Its high efficiency and convincing results have always been characteristic for the PU timing belt. It is hard to imagine control systems, regulating systems or drive systems without this development. Four generations of Continental ContiTech in one photo with Josef Sturm: In the front you can see the 50-year-old CR Synchroflex timing belt, which drove the cam shafts of the GLAS four-cylinder engine. In the back – in red – today’s CONTI SYNCHROFLEX GEN III. Today Roth Ingenieurtechnik focuses on drive, transport and vibration engineering and the company has created its own methods for finishing purposes. Engineering and project support are characteristic for the company’s mode of operation. In logistics, Roth offers many options, up to and including Kanban and just-in-time. The story that began 50 years ago, is still relevant today: The company still receives requests for replacement belts for motors built in the 1960s. 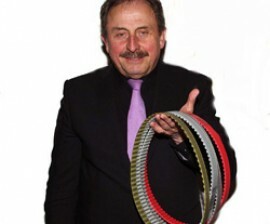 The potential of today’s CONTI SYNCHROFLEX polyurethane timing belt is incredible. The high performance potential is based on high-quality material components such as wear-resistant polyurethane in combination with high-tensile steel cord tension members. A highly flexible production system guarantees peak precision in shaping. For this reason, these timing belts are especially well-suited for double and external tooth systems. The diverse range of polyurethane mixtures also makes it possible to provide products meeting the extremely high requirements of work at low temperatures, in clean rooms or in the food industry.